We are excited to announce that the Pro Feature Set is now available for purchase! should you require a Pro Link cable. Will any or all of the outputs (Digital Outputs) work without Scanner running? I wanted to have my current MPVI DO operational without scanner running, but was never possible. This works great for a red light for something like KNOCK LEARN or LEAN AFR, etc. 1) Can we define our own CAN parameters with both the Pro Link and the expander hub? 2) Can we please get the ability to define our own CAN parameters on the main CAN bus? 3) Just how much control will we have on the universal inputs with respect to reading digital/PWM values? For example, a flex fuel sensor sends two pieces of data. The frequency corresponds to ethanol content, and the pulse width corresponds to fuel temperature. Will we be able to define things like that? I assume reading frequency and duty cycle is doable. 4) Will there be internal pull-up or pull-down resistors available on the inputs or at least an easily accessed reference point? Just say no to bull s***. IF YOU WANT HELP, POST A FILE! I know, I know... but approximately how much for the expander hub? jaydubb71: It appears we just need to RTFM. from the Pro Feature Set"
Last edited by gbishop20012001; 11-10-2018 at 05:05 PM. When will the Prolink ship to those who have upgraded? I know I am the farthest down the food chain but love to fondle new hardware!! I have a dyno session coming up on Dec 6. If I upgrade my MPVI Pro now, will the prolink be available in time with 2-day shipping? What version BT is used? Been using BT OBD's for awhile. Nice to see the upgrade. Can the pro link be used without the pro feature set..just to log wideband or do you have to upgrade to pro feature set also? should be available to the standard users for a small unlock feature price. 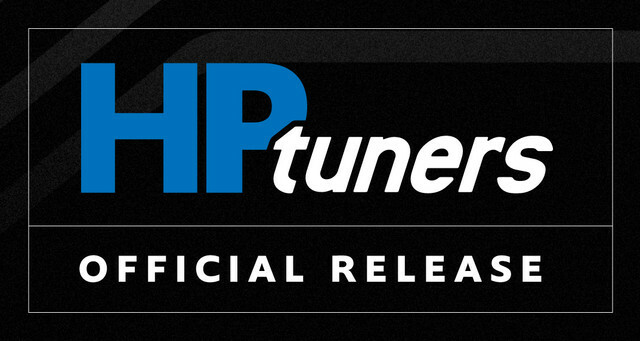 I am not a owner of either forms of hptuners yet but man it seems like they have getting over on a lot of people who need 1 or more of these features. Last edited by Clttzr; 11-18-2018 at 01:02 PM. Expander Hub requires the Pro Feature set as well. When you compare to our previous MPVI Standard interface $499, the MPVI2 is $299. The MPVI Pro was $649 compared to MPVI2 + Pro Feature Set $299 + $249 + Pro Link (free). Your comment makes no sense. Considering just about every single manufacturer uses WBO2 sensors in their vehicles (with notable exception of GM) our thought was the primary need for the analog inputs is reduced, hence we made it optional. If you upgrade from MPVI Pro interface to MPVI2, you get all this included at no extra cost to the $189 upgrade fee! What more do you want? You get the Pro Link for free when you purchase the Pro Feature Set. Yes, please make sure you inform the support guys of this special situation when you send the MPVI Pro in for combining. 1,2, & 3 are functions of VCM Scanner, Keith is aware. 4. no pullups or pulldowns but there are ground references. Lack of a 5v reference point is a bummer. Yes i believe they will work with standalone datalogging when available.